Please write checks payable to Center Island Aikido for the amount and place it in the black dojo mailbox. A signup sheet will keep track of who has paid. NOTE: USAF dues are separate from Center Island Aikido dues. 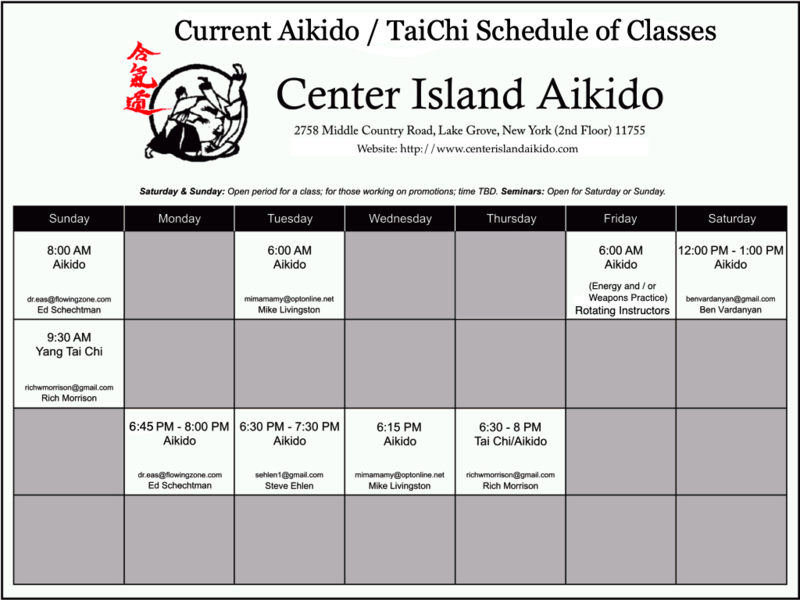 Center Island Aikido’s nonprofit status helps keep our dues the lowest in the region. Members enjoy the privilege of attending as many classes as they wish per month. If you are interested in seeing if aikido or this dojo in particular is right for you, come experience a few classes with us and then decide if you want to join. Members pay at the first of each month and there are no contracts to sign. If you are already a practicing aikidoka, our mat fees are $10 if you belong to a non-affiliated dojo, and $5 if you belong to an affiliated dojo.